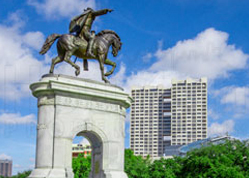 Learn About Houston’s Best Neighborhoods! Welcome to Houston! We’re the 4th most populous city in the US, covering over 600 square miles. To help you find the best neighborhood to live in, we’ve created 47 different neighborhood guides. – Exclusive buyer and seller tips from Paige Martin (one of the top ranked Realtors in the United States, having sold over $250 million of Houston real estate). 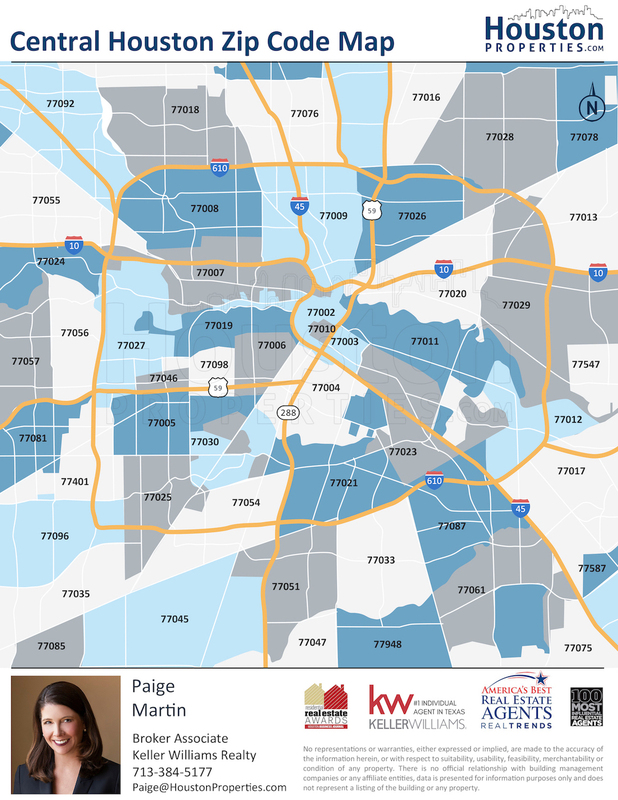 Explore Houston by reading below, or contact Paige Martin now for personal recommendations and advice on what Houston neighborhoods may be best for you. 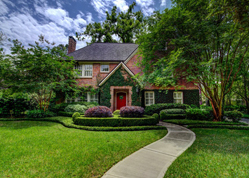 Take a virtual tour of Houston’s Best Neighborhoods! 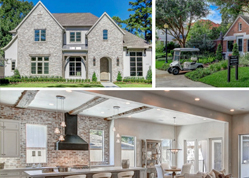 See complete Houston neighborhood profiles, 10-year real estate trends, maps, homes for sale, luxury real estate pictures, and more! Grab a copy of the best Houston Relocation Packet! 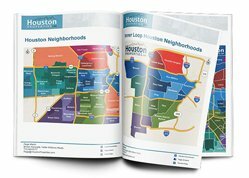 Get a comprehensive Houston neighborhoods guide, virtual tours and overviews, homebuying assistance, custom neighborhood comparisons, and more! Considering a home outside the heart of Houston as you’re looking for more space, more top ranked schools or more affordable homes? Then this resource guide is for you. 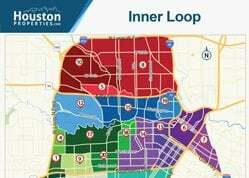 Houston’s Inner Loop is one of the top ranked regions within Texas. 14 neighborhoods stand out with the best real estate appreciation over the past year. See them all here. 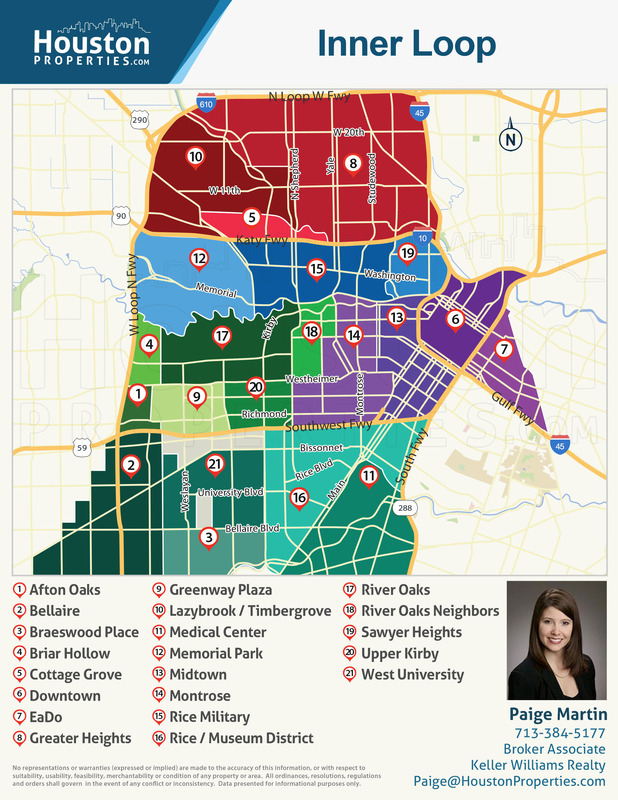 Houston’s close in neighborhoods offer more than 100 gated communities. 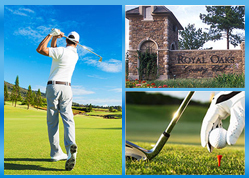 We ranked the 16 luxury gated neighborhoods and are within 35 minutes of The Loop. 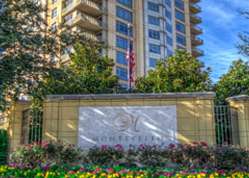 Memorial is made up of several neighborhoods, gated communities, and independent cities. Memorial real estate are some of the Bayou City’s most desirable and most expensive. 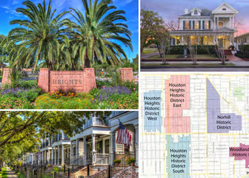 The Houston Heights is an exciting neighborhood of 3,700 homes. 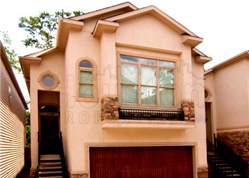 The Heights has experienced tremendous property appreciation and development over the past decade. 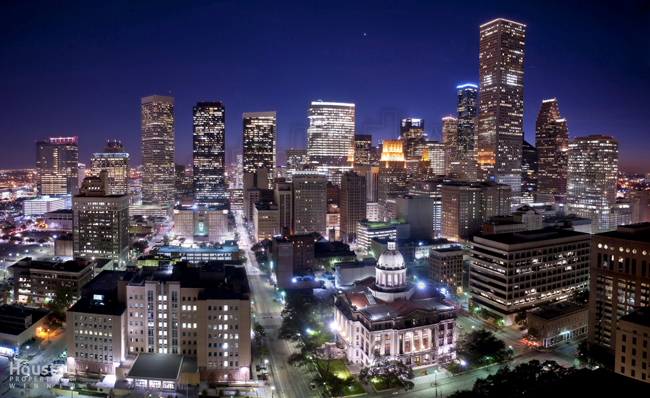 Houston has 10 of the wealthiest neighborhoods in the nation. 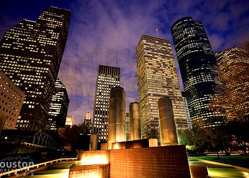 See which communities made the “20 Most Expensive Houston Neighborhoods” list. 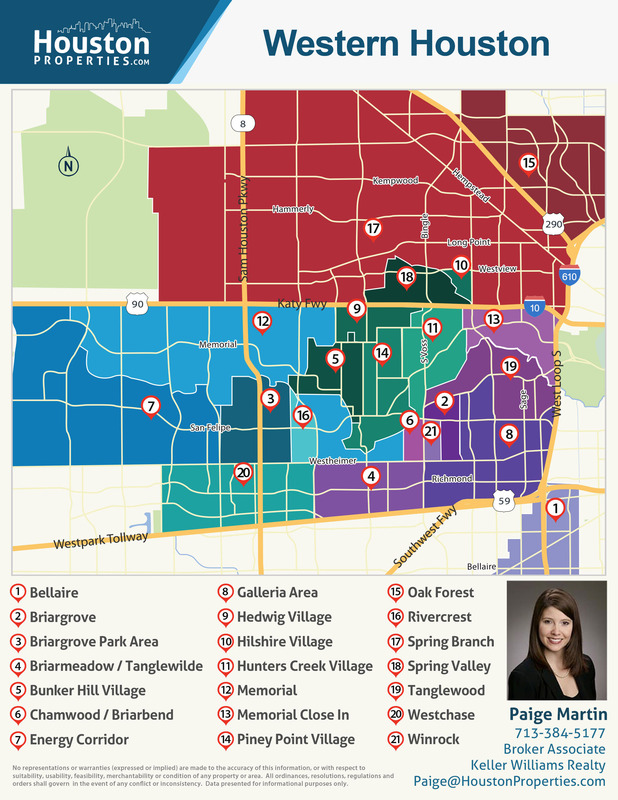 For more information on Central Houston Neighborhoods and personal recommendations, email Paige Martin at Paige@HoustonProperties.com. For more information on Houston Neighborhoods and personal recommendations, email Paige Martin at Paige@HoustonProperties.com. According to Forbes Magazine, Houston is the most “walkable major city in Texas” and the 23rd most “walkable city in the United States.” See which neighborhoods made the list. Homebuyers looking to buy a Houston condo along the METRORail have 21 options (plus a few honorable mentions). We list them all and plot them on a map. 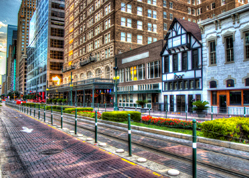 Downtown Houston is home to over 150,000 workers and 3,500 businesses. Here’s the complete guide to the 25+ condos and lofts Downtown. Inner Loop condo residents are a few blocks from parks, running trails, and numerous entertainment hubs like restaurants, museums, and shopping centers. 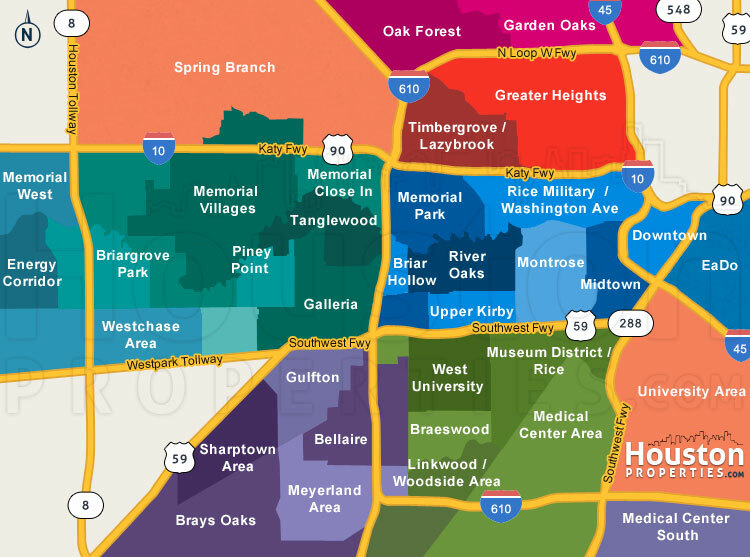 Galleria is one of Houston’s most exciting districts. The area provides one of the best highrise lifestyles in the city. 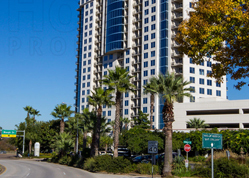 See all the luxury condos and highrises within Galleria. With its premier healthcare institutions, research centers, and academic institutions, the Texas Medical Center is one of Houston’s largest employment centers. 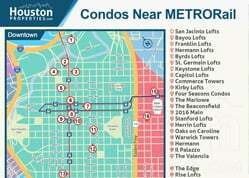 See all condos in the area. 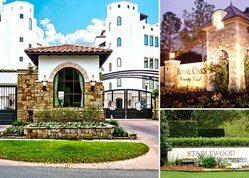 We list 19 luxury neighborhoods that feature a well-ranked golf course and are within 35 minutes of Houston’s Inner Loop. New patio homes Houston are single family, free-standing homes on small lots. Find the best patio homes for sale in Houston here! 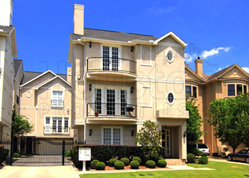 Townhomes are one of the fastest growing housing types in Houston as they offer abundant space, have low maintenance, and are usually less expensive than single-family homes and condos. Multi-family homes are becoming an easier solution to buying a larger, more expensive home for close family and friends. Find them all here. Houston is 3rd US city with most number of new constructions. Our city also now ranks 7th in Emporis’ list of “North American Cities With Most Number Of Highrise Developments”. 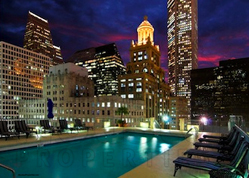 Houston condos offer basic amenities like gated access, parking, etc. Some luxury highrises take it one step further with concierge services, resort-style pools, tennis courts, saunas, and more. Houston is #1 on Forbes’ “America’s Fastest Growing Cities” list. Ranking in the top 10 for job growth, Houston also topped Forbes’ “Top 10 Healthiest Housing Markets” feature. Houston’s best neighborhoods are also listed among the most popular communities in the country. 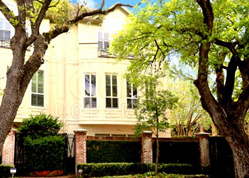 River Oaks, the most expensive neighborhood in Houston, is ranked among the 10 wealthiest neighborhoods in the nation. 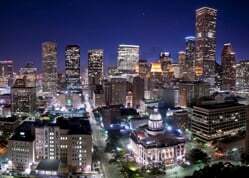 The city is home of the Texas Medical Center, the world’s largest concentration of health care and research institutions, and NASA’s Johnson Space Center, where the Mission Control Center is located. Houston added over 100,000 jobs the past year. In addition, Houston’s major employers are planning on boosting their workforce by another 100,000. This implies another 125,000+ people will be relocating to the Bayou City within the next year. Houston became the #1 city in the country for new single-family home construction permits over the past year. Houston’s new construction starts total $4.8 billion. Houston’s total new construction communities are at an all-time high, representing an 8% year-over-year growth. Houston also ranks 7th in Emporis’ lists of “North American Cities With Most Number Of Highrise Developments”. 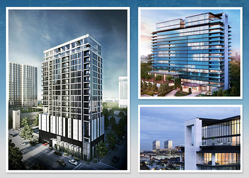 Including both residential and commercial, Houston has 28 highrises currently in development.